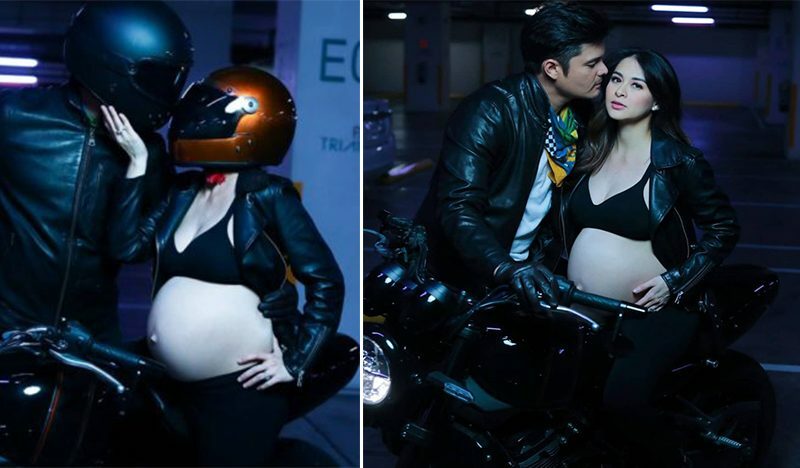 Kapuso Primetime Queen Marian Rivera’s latest maternity shoot with her family recently made headlines, after the actress gorgeously posed in front of the camera and flaunts her big baby bump. 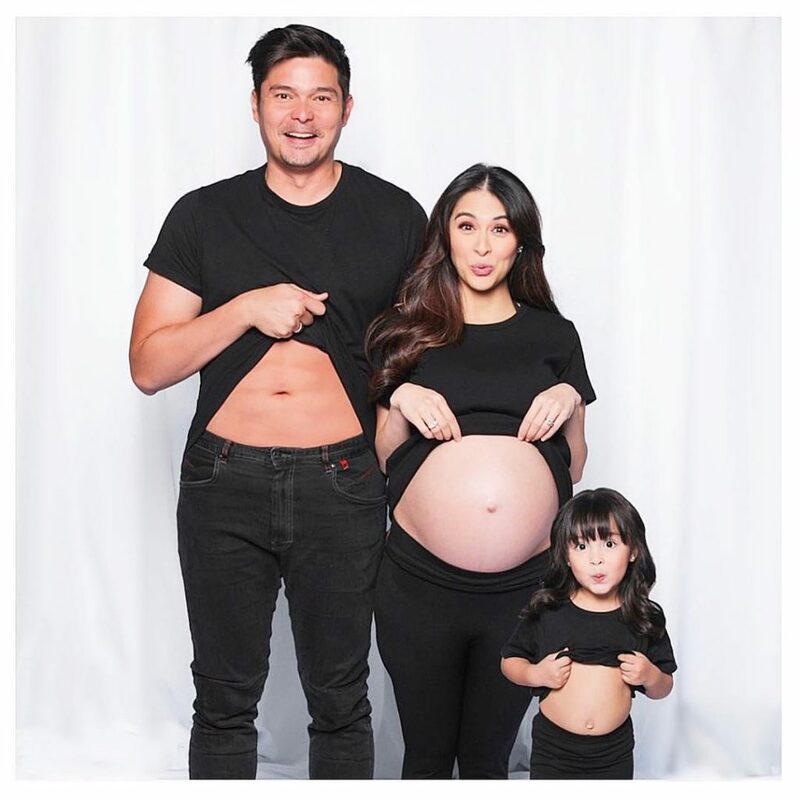 The 34-year-old actress will be giving birth soon to her and husband Ding Dong Dantes’ second child. 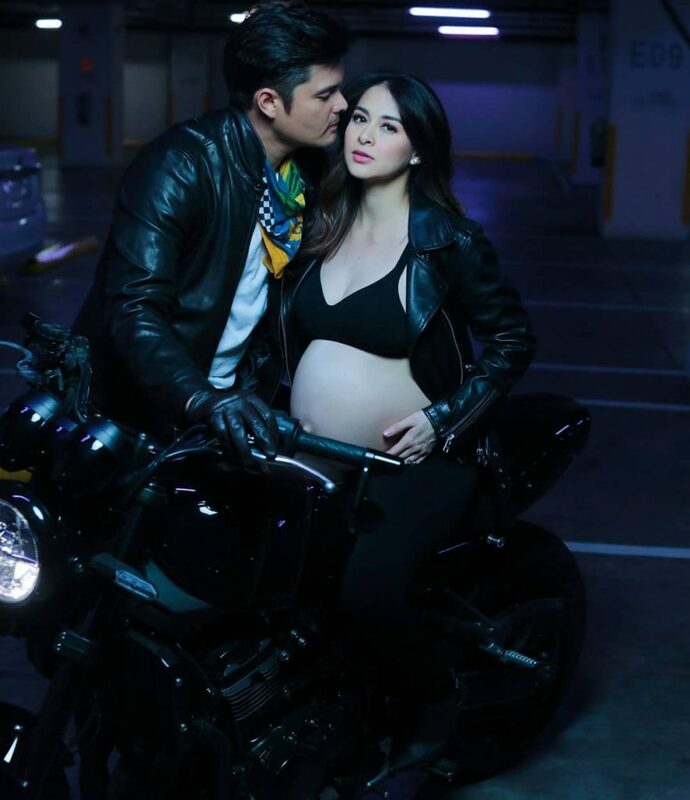 On their respective Instagram accounts, Marian and Dingdong shared some photos of their rockstar themed maternity shoot. Joining them is their 3-year-old daughter Maria ‘Zia’ Letizia, who also shows her cutest ‘rockstar’ side. 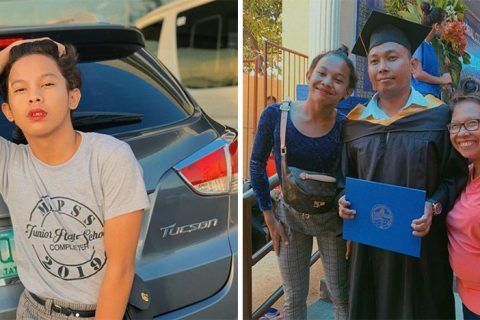 In one of the photos, the adorable family can be seen wearing all black outfits and standing against a white backdrop, while holding up their shirts to reveal their bellies. Another photo shows Marian and her husband Dingdong, both wearing a black leather jacket. They even use a black motorbike as their props, which is a nod to Dingdong’s love for luxury motorcycles. 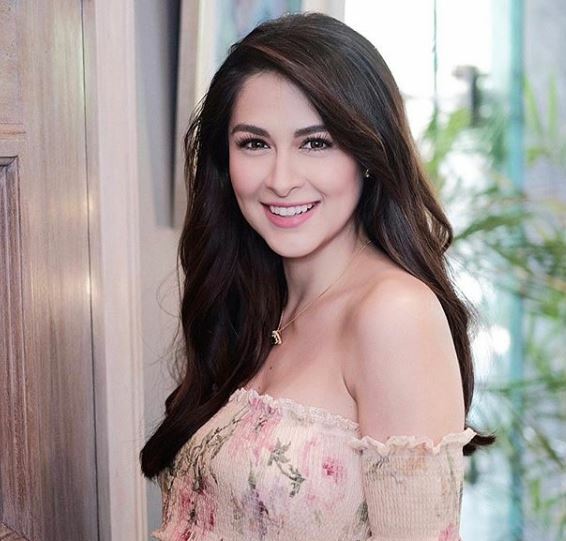 Marian Rivera said that she was very excited to welcome their baby boy, she also mentioned that she now had achieved her dream of having a big family. 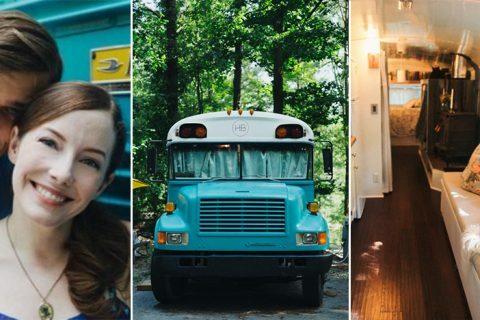 The actress shared that this will be her last photo shoot before she gives birth. “Last photoshoot before I pop! Excited to meet our little one,” Marian wrote. Meanwhile, many netizens also noticed her flawless belly. They were amazed that the actress doesn’t have stretch marks even after having a child. 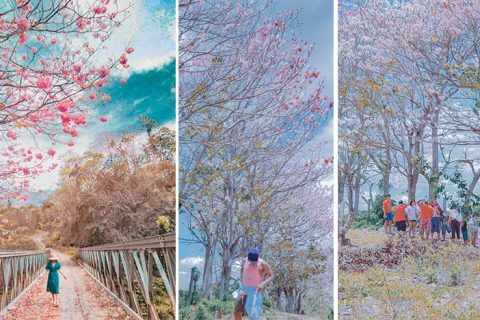 But according to her friend and event planner, Teena Barretto, the actress and her belly doesn’t need photoshop because she already looks perfectly beautiful. “Why does she look photoshopped?” Barretto said. Marian’s maternity shoot was made possible by the renowned fashion photographer, Pat Dy. He also shared some snaps on his Instagram as well.